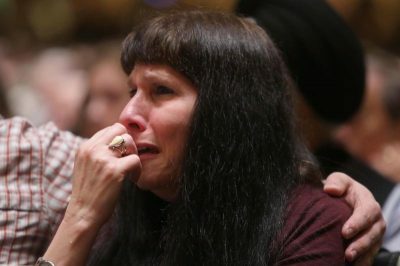 PITTSBURGH (CNS) — Thousands of people gathered outside and inside the Sailors and Soldiers Memorial Hall of the University of Pittsburgh Oct. 28 at an interfaith service to mourn the victims of the horrific shooting a day earlier at the Tree of Life synagogue. A Baptist gospel choir opened the service, which was organized under the banner “Stronger Together.” Christian and Muslim clergy were among those who made remarks, but the leaders of the service were rabbis representing the three Jewish congregations who used the synagogue. That same day and in the days that have followed, a cascade of interfaith services have been held in cities large and small around the country to mourn the loss of life in what is being called the worst attack on a synagogue in U.S. history. 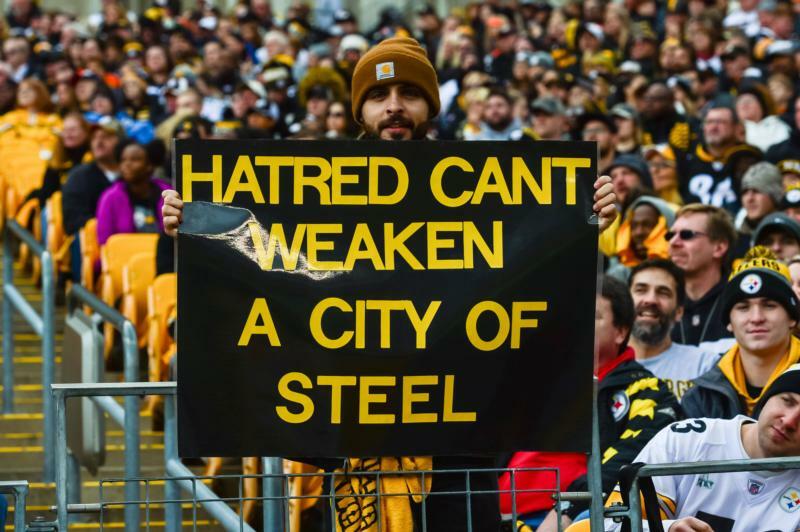 An outpouring of sympathy for the synagogue’s community and the city of Pittsburgh has come from religious leaders of all faiths, plus a pledge to join together to fight anti-Semitism, attacks on any religion and hatred directed to any group in the U.S., and to address gun violence in this country. Catholic leaders were quick to condemn the shooting massacre, offer prayers and condolences for the victims and call for efforts to end gun violence. Statements came from, among others, Cardinal Daniel N. DiNardo of Galveston-Houston, president of the U.S. bishops’ conference, and Pittsburgh Bishop David A. Zubik. In Philadelphia, Archbishop Charles J. Chaput said in a statement that religious and ethnic hatred “is vile in any form, but the ugly record of the last century is a lesson in the special evil of anti-Semitism. That evil has not been stamped out. Rather, it has been resurgent in many areas of the world for the last several decades. It has no place in America, and especially in the hearts of Christians. 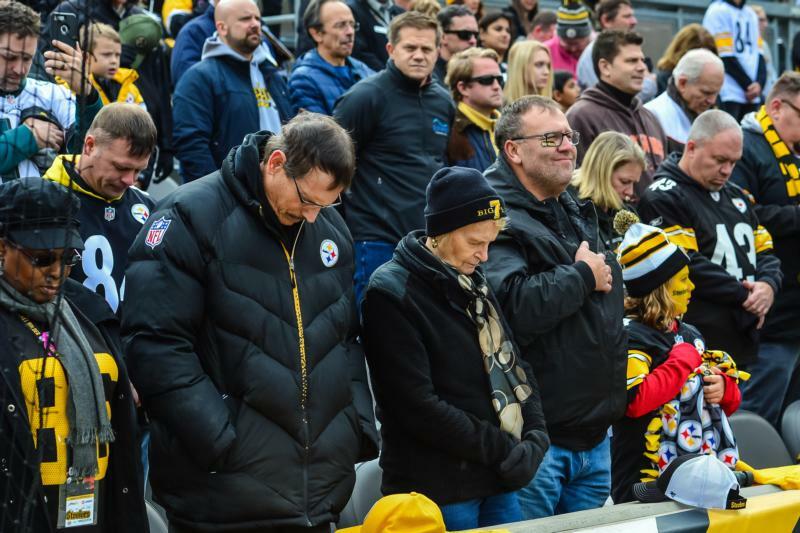 “I want to express the heartfelt support and prayers of Philadelphia’s Catholic community, and my own, for the victims of the Pittsburgh synagogue attack and their families. May God give them courage and solace, and may this be a statewide wake-up call to resist religious hatred,” the archbishop said.